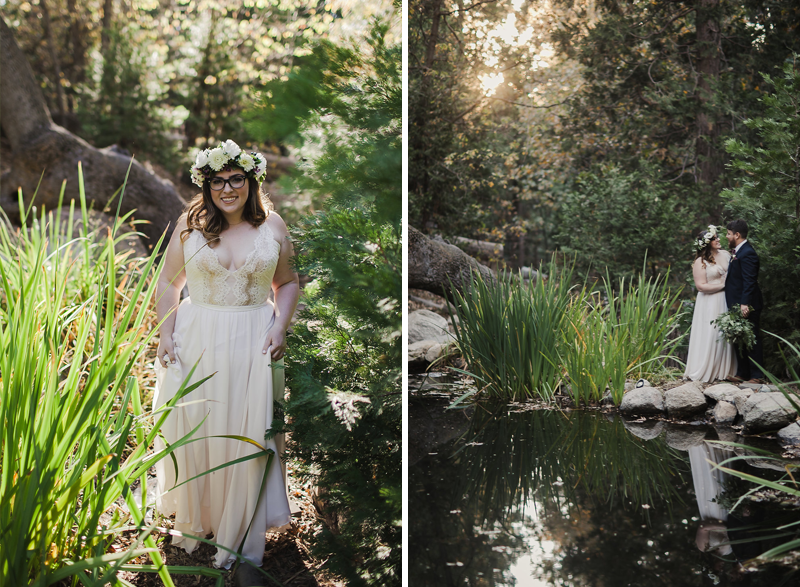 A hidden gem of a venue with our beautiful real bride Brittany is giving us all the feels! 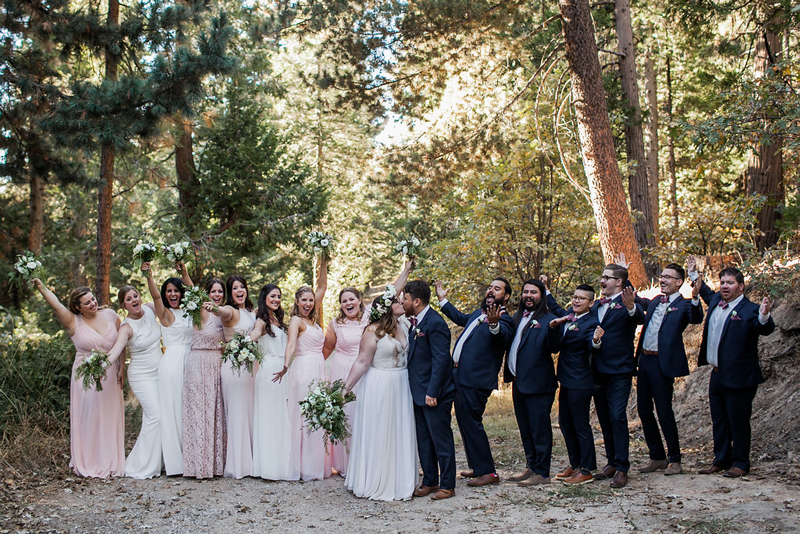 A dream wedding in the pines! 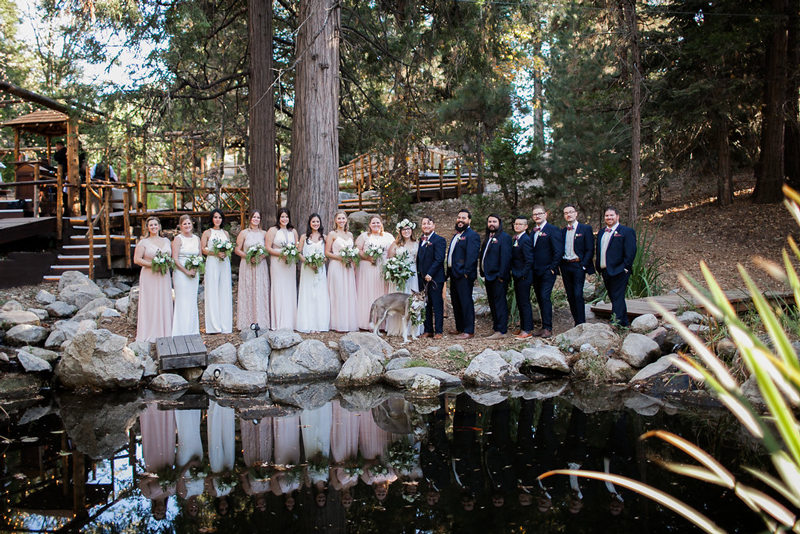 Bride Brittany and Mike’s wedding was held at Pine Rose Cabins in Lake Arrowhead, CA. 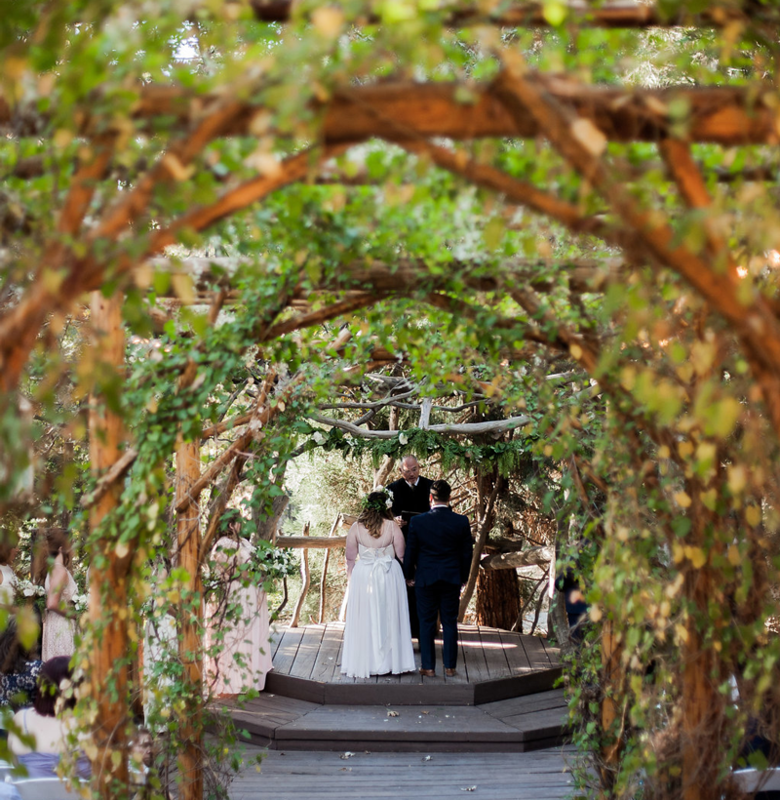 It really is this amazing hidden gem, and the walk down the aisle! Gorgeous! 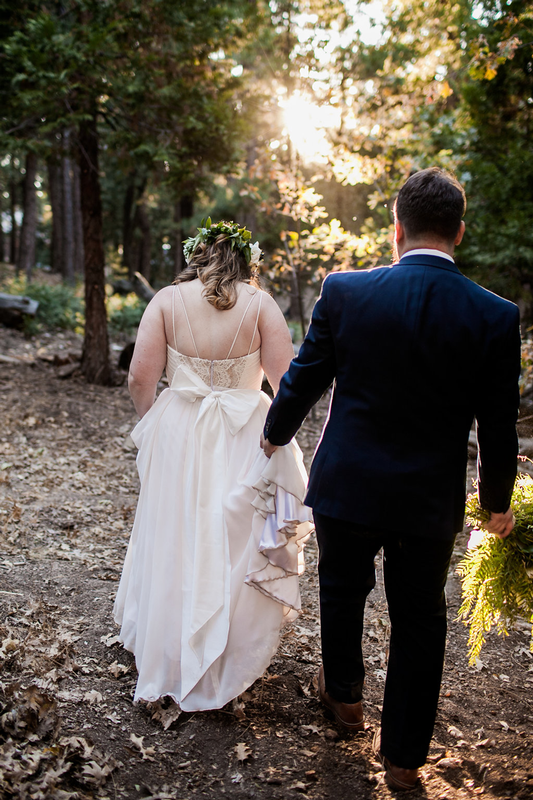 We made an audible gasp when we saw it and thought how magical it must have been for Brittany to walk down towards her future husband. 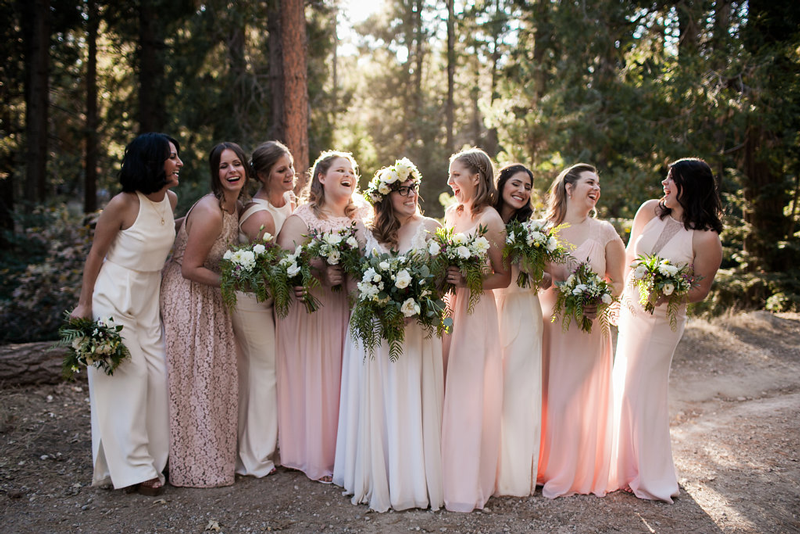 What stood out to us the most however, as we scrolled through the gorgeous images from Kaylee Casanova, was the shining love from the bride and groom. In every image of these two, their love was so obvious and genuine. It makes us so happy and joyful to see those big smiles, a few happy tears, and those meaningful looks at each other. 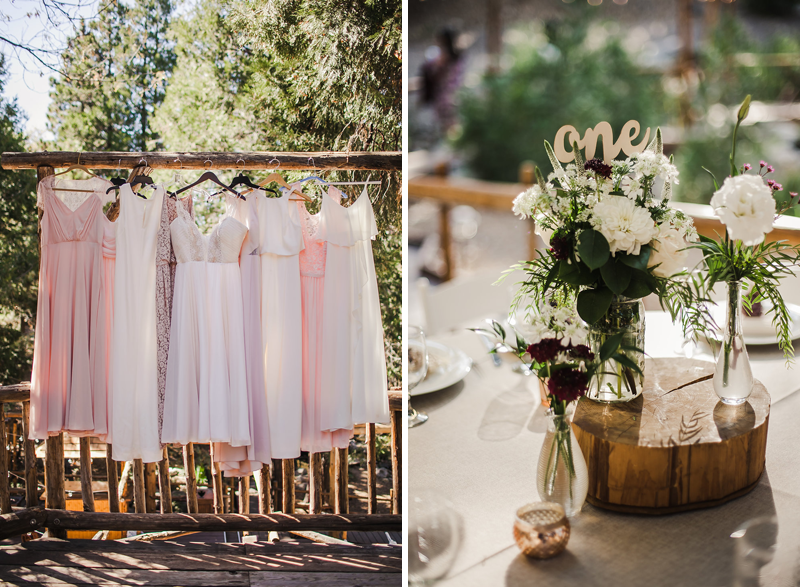 Here are just a few of the fabulous captures we fell in love with and hope you will too. 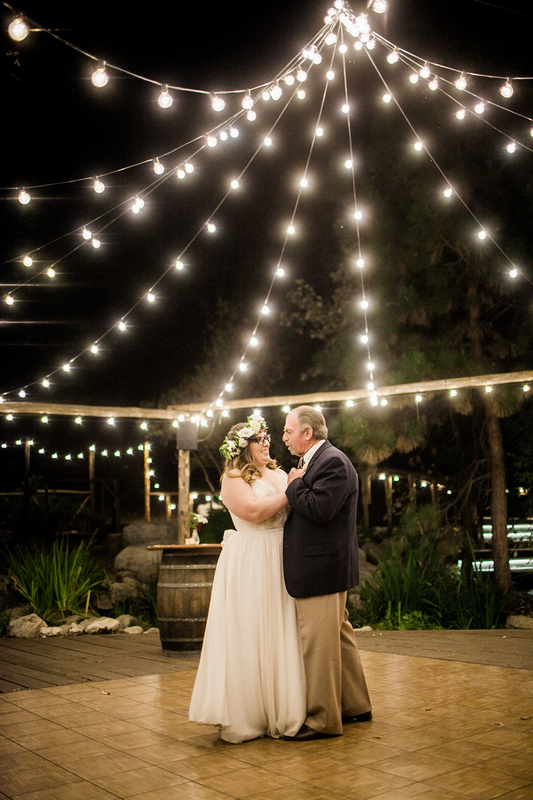 Real Bride Brittany had seen the Truvelle Nicolet dress on Instagram and had a feeling. The gown features rose gold sequins behind a gorgeous panel of lace and outlines a plunging neckline. Complete with pleated ivory chiffon on the bodice and a full chiffon skirt, this beauty gives her bride a warm and inviting sensibility and romantic vibe. Though it is trendy, it is certainly a dress you will look back on and still feel classically beautiful. 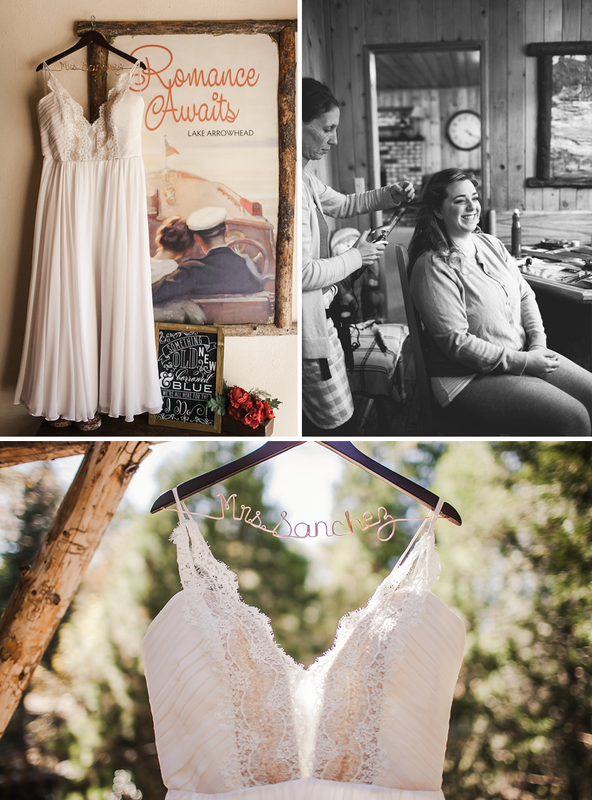 “My experience at Love and Lace was better than I could have imagined. 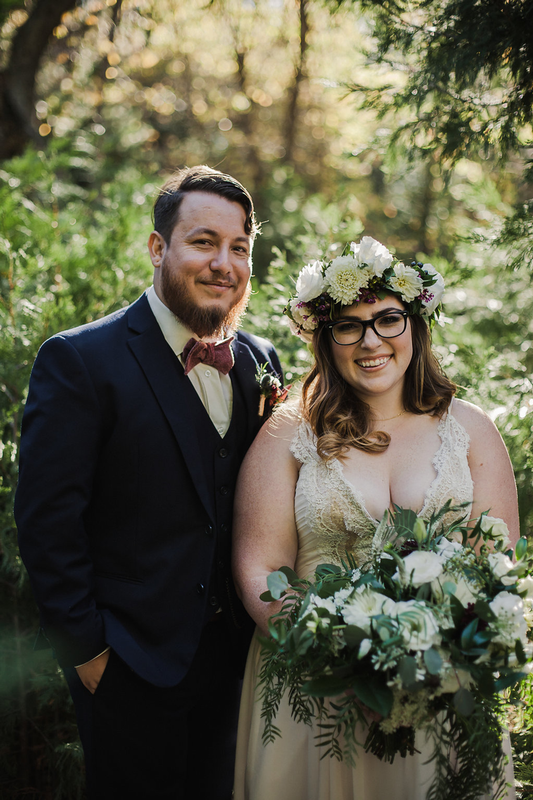 Being 5 feet and curvy, I was somewhat anxious about the process of finding a wedding dress that I felt beautiful in. After seeing the Nicolet on Truvelle’s Instagram, I knew I had to try it on. 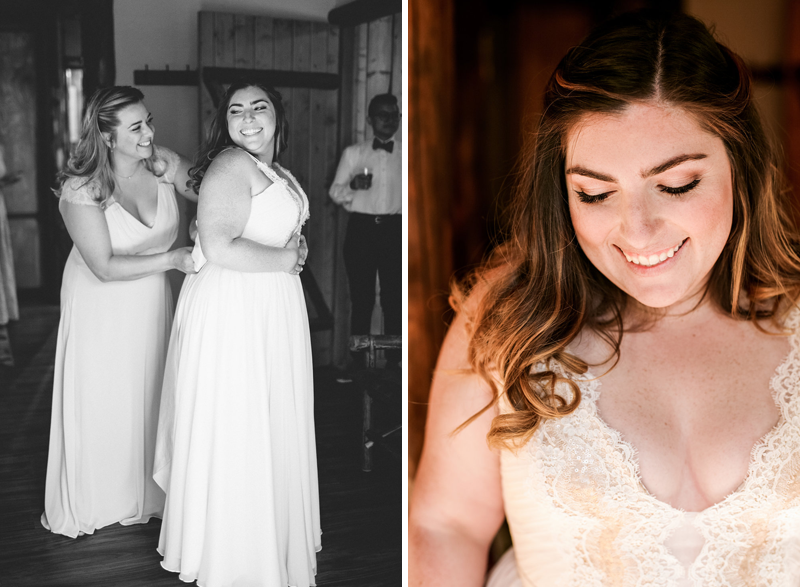 Taylor took her time with me, making sure I tried on everything I wanted, but I knew that the Nicolet was going to be my wedding dress. I ordered it early and in a size smaller than recommended – I was determined to lose some weight before the big day! 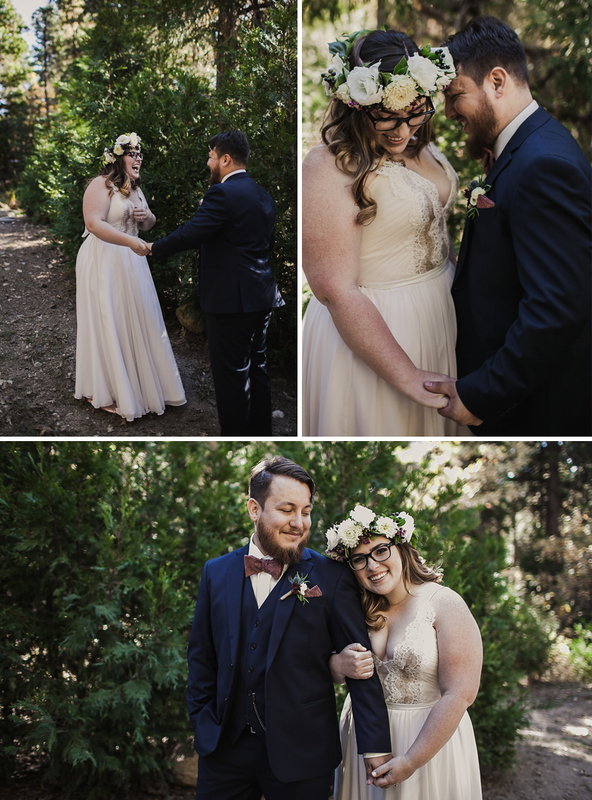 When the dress came in, it was almost a perfect fit – aside from the length! We are so thrilled for this beautiful lady! And it is such a high goal of ours to treat you like family and it fills our hearts that Brittany felt that! 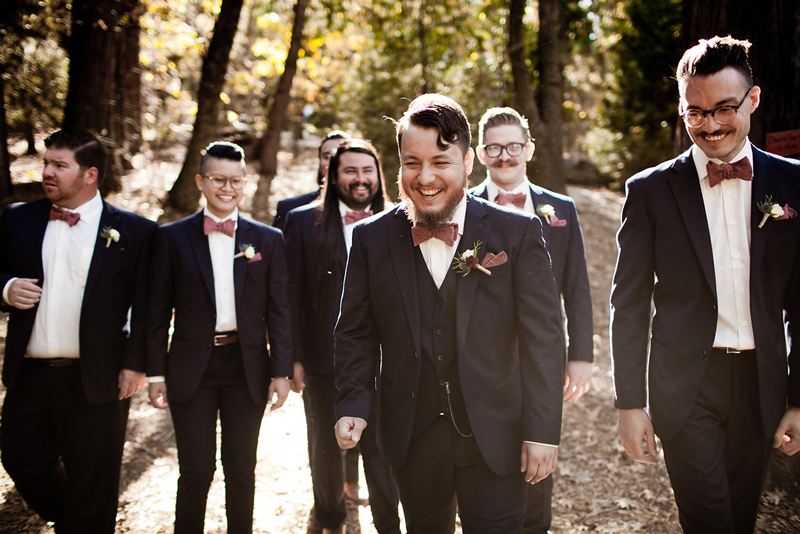 This first look left us laugh-crying it was so sweet! 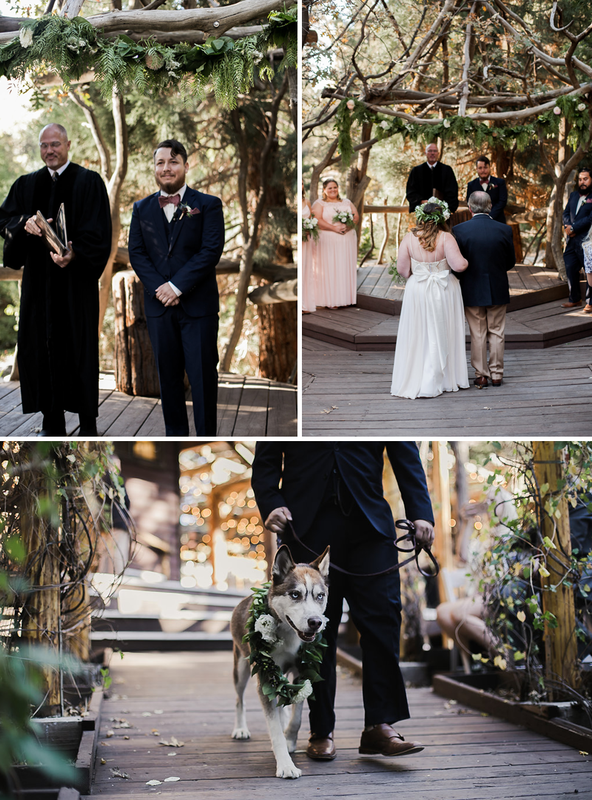 Their beautiful husky was the perfect ring-barer! A Daddy-Daughter dance! So sweet! 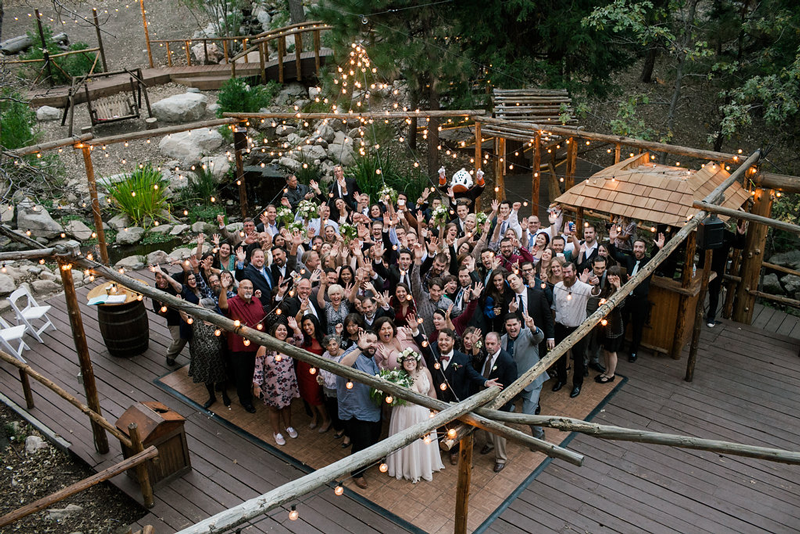 Huge congratulations to Brittany and Mike! May you have many many years of love and happiness!